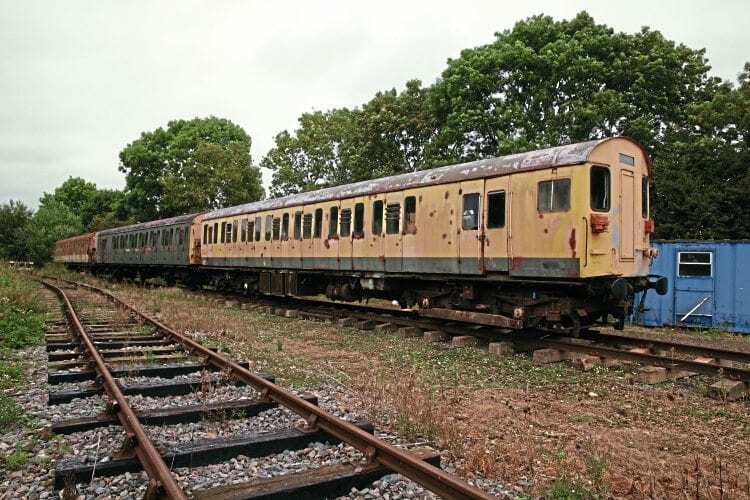 THE Class 501 EMU previously housed at the now-closed Electric Railway Museum, Coventry, has found a temporary new home at the private site of the Coulsdon Old Vehicle & Engineering Society in Oxfordshire. This site is not open to visitors other than on occasional open days. The former Great Central Railway Finmere station is on the section of line destined to be eventually reopened as part of HS2. Ultimately, it is hoped to move the EMU to a new home not far from Finmere. DMBSO No. 977349, originally No. 61183, still carries its departmental yellow livery on one side, and is seen at Finmere on June 9.